Linux has a host of benefits. For starters, Linux can be run completely off of a USB thumb drive. In fact, you won't even need a hard drive to run the Linux operating system with success. The entire OS will load from a thumb drive. Linux has its own free counterpart for high-quality software. Linux is capable of hosting an entire music studio, 3D graphics rendering, and web development tools. These capabilities are just the start of what Linux is capable of in terms of software. Updates are given on a regular basis for free open source software. Linux may save your digital life. If your computer fails, you may still have access to the hard drive if you have a thumb drive or live CD of Linux available. Upon inserting the thumb drive or CD the user can locate the hard drive within Linux and recover any files before re-installing Windows or Mac. In some cases, this could make or break the loss of extremely important files. Linux is also less prone to violent attacks from trojans and viruses, thanks to the Unix programming underneath the hood of Linux. Despite what may be rumoured, Linux can emulate a Windows environment as well as provide support to Windows projects. There are several key things to consider before switching from Windows to Linux. There are several comparisons that can be made between Linux and Windows. 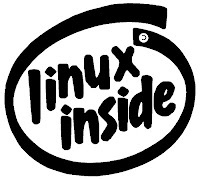 Windows has an installation package that is searched through individual third-parties while Linux uses a package manager for finding all the software available to Linux in one browser window. Linux has a completely interchangeable graphical user interface. All core areas can be completely changed. In fact, your installation of Linux can look radically different from the installation of someone else, even if it is the same operating system. This allows Linux users to have an extremely customizable experience. Finally, there are several questions you will need to ask if you are migrating from Windows to Linux. These include the willingness to learn new commands, what distribution will work well, and compatibility for Windows emulation on files that require it. This article was written for CPU Inc by Lexy Mulheim. CPU Inc provides computer storage and backup solutions for every situation. Unix also got its name and much of its design from the (far superior) Multics OS, which Bell Labs had been working on. When BL withdrew from the project, Ken Thompson found a disused PDP-7 in a basement and that was the vehicle for the first version of Unix (then call Unics).